We are fortunate to have such great customers who take time out of their busy days to be interviewed by American Metal Roofs. Below are video testimonials directly from the source–a satisfied AMR Michigan homeowner. From time to time we receive a letter from our customers about how much they love their new metal roof and the experience of working with the team at American Metal Roofs of Michigan. With their permission, we have posted some of those heartfelt messages. There’s not much else that makes President of AMR, Frank Farmer, more proud than hearing positive customer stories about his team, company, and product. We have an asphalt roof that has given us a few problems over the years. We have experienced ice damming twice and now have shingles that are curled and falling apart. Our shingles are 15 years old. We have been having various problems for about 5 years. The roof was warranted for 20 years. We did not pursue a claim on the roof because of the time and expense and lack of documentation required to make the claim, after studying several roof systems online and in person we made a decision to go with American for the quality, durability and workmanship of a permanent roof system that our children could inherit. My husband and I are extremely pleased with the Oxford Aluminum roof that your company installed on our home. It was not an easy installation due to the steepness of the roofs, several valleys, and the chimney work required. In addition the fascia and ventilation system was replaced. We had known for some time that we needed a new roof. We had been paying attention to metal installations in the area and considering metal instead of asphalt so when we saw your advertisement in the “Clipper Magazine” we decided to stop by your showroom in Flint. The information you provided was an eye opener! We were pretty well convinced that an aluminum roof was the way we wanted to go by the time we left your showroom. We made an appointment for your salesman Bryan Doyle to stop by the house. Over the next few days we were able to talk to one of your previous customers and to look at quite a few of the homes on your “show homes list”. We were probably one of Bryan’s easiest sales! By the way, he has a great personality – seems to really enjoy what he does and is very professional. He spent time going over the fine points of why we should buy a metal roof from American Metal Roofs, took measurements, checked out the attic and we signed on the dotted line. He made sure we knew what to expect from the time we signed right on through installation and beyond. Nate and the work crew who did the installation are a credit to your company. They are professional in their appearance, conduct and work ethic. They did an expert job from beginning to end. They finished the job within the estimated time frame, left the job site better than they found it and we have a beautiful roof. It has been a joy doing business with American Metal Roofs. It is so rare these days to find the level of honesty and professionalism that starts at the showroom and continues right on through to the last truck leaving the drive way. Thank you so much. I would like you to know about some of my previous experiences with contracted home improvement to my home. Most of my experiences have been good, but as you will see, I have had some bad experiences, too. We bought our home 25 years ago. One of the first improvements made about 18 years ago was to contract a small company for a new roof with ridge vents. It was installed while we were on vacation. When we returned, the new roof and ridge vents had been installed. But after close inspection, I realized the ridge vent was not installed the way it should have been and I had the contractor come out to fix the problem. When he was finished with the repair it never looked right. He said that was the best he could do. I was never satisfied with what he has done but I have lived with it ever since. This ridge vent I had installed never helped with reducing excessive heat that would build up in the upstairs rooms of my Cape Cod home. Six years ago I realized the siding needed to be replaced because painting it would not solve the problem. A contractor from the Toledo, Ohio area was advertising, in the area, their siding and metal roofs on television. They came out and gave me a bid on changing the siding on my house. I liked the idea that their vinyl siding had insulation fastened to the back of the siding. I also liked to idea of the extra insulation as it would help reduce my heating and cooling bills. But I felt a bit pressured to sign the contract that very moment because if it didn’t work I would not be able to get this great deal ever again. Their work crew were local workers who they had sub contracted for their jobs. I really thought that they had done a nice job installing the siding on the house. It appeared very professional and their crew kept the work area safe and clean. We did have them return immediately because I noticed some missing caulking around some exterior outlets and window areas. During the following fall we had several heavy rain storms and noticed a severe problem. I found out that they did not take into account that when they removed the old siding, they did not replace flashing down under the roofing on the garage and up the side of the house to keep rain water from leaking into the garage and house. The ceiling in the family room and garage area were damp after each storm and eventually left a stain. After repeated unanswered calls and voice mails to the company to “fix” this problem, I went out and bought roof sealer and tried to seal the leaks. I believe that that way their salesman talked about their concern with doing a professional job, was a joke! Their sub contracted installers, if they were so knowledgeable, should have known that when they installed the siding that they should have also installed the proper flashing to prevent leaks. Evidently they were not very good at doing their job. I have been quite impressed with your salesperson, Brian, as he has been accommodating with us and our schedule along with describing to us fully potential problems and suggested solutions. He gave us time to think about your product and has been understanding about our financial concerns. I’m looking forward to the finished roof and expect to see a more comfortable second floor soon. I have lived in my home for 2 years and 9 months. I currently have an asphalt roof. Which I was informed when we purchased the home that it would need to replace it. I figure the roof to be approximately 25 years old. Although I have not had any problems yet I am replacing the roof to avoid any damage to my home. My late husband had seen an advertisement and we took the time to visit show room in Kalkaska. We liked the looks of the product, and decided that when we sold our house in Washington we would re roof our current home. I have sold that home so I contacted American Metal Roof and made an appointment, and Bill came out and explained all my options to me. I feel that even though the cost is considerable more than other roof option that longevity and benefits will out weigh the costs. Bill has been very patient with my questions and concerns and has made me feel like I am making at wise choice. You sold us an aluminum metal shingle style roof last year. I wanted to write to inform you that the recent hail storm did not damage our roof. I have been in hailstorms before and this one lasted 10-15 min with hail, rain and wind driving sideways. I was out the next morning making my calls and was amazed at the storm damage, many trees down, power lines down over the road, a barn was blown from it’s foundation and strewn over 10 acres. I am thankful that our roof held up well, not even pockmarked from the hail. Thank you again for giving us information to make such a wise investment. I am very pleased with my new metal roof and feel it is a good investment as it provides added value, protection and looks for my home. After viewing a TV commercial for the Metal Roofs Association, I researched information on their website which led me to your company. After further searched for information and other companies in the Michigan area, I contacted your company. Your sales representative, Bill Susewitz, promptly contacted and made an appointment to meet with me. Bill thoroughly reviewed your company’s products and answered all my questions. After I decided to proceed with the job, Bill advised of the proposed start date and other details and promptly responded to my calls when I had questions. Bill’s prompt response to my initial inquiry and subsequent contacts are commendable and a large factor why I chose your company for the job. Your installation crew also did a commendable job. They were professional, friendly and answered my questions while they were installing the roof. I will not hesitate to highly recommend your company to others, primarily due to the great service of your employees and the durable products and warranty. Thank you for your attention to my inquiry and subsequent roofing job. There’s still more than four feet of hardpack snow on the ground here in Paradise, Michigan, but I believe that the worst of winter is over. Another foot or so might fall before Whitefish Point is snow-free in late April, but the days are growing longer and more sunny, and the worst is over. At this time I don’t have the official snowfall for ’08 -’09, but we’d passed 200 inches back in January, and had shoveled the house and barn roofs four times. I believe I can now present as comprehensive an opinion of our new American Metal Roof as this year allows. So far as shedding snow, steel roofs have never worked well here, and then only if a roof has a very steep pitch. Subzero temperatures and winds off Lake Superior seem to cause the steel’s surface to frost, giving snow a foothold, and once a layer of snow attaches itself, subsequent layers can build up to depths of several feet, requiring the roof to be shoveled. 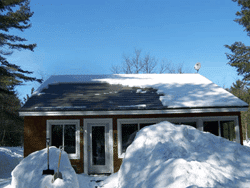 The dimpled Oxford, shake gray roof that was installed by Charlie, Shawn, and the rest of American’s crew has already proved that it will shed snow more effectively than steel roofs. The day the installation crew left us ended with four inches of snowfall. The snow lay atop the Oxford shingles for less than forty-eight hours before a shooshing sound signaled that the roof was cleaning itself. My Siberian husky, Moki, didn’t think it was so great when her “nest” on a snowbank under the eaves was suddenly buried under a cloud of powder (I laughed myself to tears – I’ve never seen her move so fast). I was actually happy to shovel the snow that slid down onto our porch, because no other roof in this area had even begun to shed that most recent snowfall by the time ours was entirely snow-free. The quality of installation rates a number of well deserved kudos. First, American’s crew was outstanding: Polite, very considerate, and efficient. I snapped photos throughout the installation, and I looked for mistakes and oversights, especially around edges and corners. If there are any errors, I haven’t found one. The finished roof can legitimately be described as a thing of beauty. Not surprisingly, several of our neighbors have asked about our new aluminum roof, even stopping by just to see it and to ask Cheanne and me how we like it. The answer is that we like it a lot, and we’ll recommend an aluminum roof from American Metal Roofs to anyone who needs a new or resurfaced roof. Thank you for doing a great job installing a great product. Not least of all, thank you for the peace of mind that comes with knowing that our roof will never be damaged by the notoriously heavy snow loads that cover this area, nor will Cheanne and I have to perform the dangerous, back-breaking labor of removing that snow. That alone makes our new roof well worth the cost. We want to thank you for the great experience working with your company. Right from our 1st phone call we were treated with wonderful customer service. We visited your showroom in Flint, and were promptly given a tour. We learned much from that visit as well. Then a sales rep met with us at our cottage and spent a lot of time educating us and answering all of our questions. Richard and the crew that came to put our roofs on our 2 cottages were prompt, and very courteous. They stayed in our guest cottage, and left the place as they found it. They even left us a Thank you card!!! They were done with both roofs in 5 days, cleaned up the job site and did great work. When we need another roof we will definitely come to American Metal Roofs. The roof looks great. Rich and Crew did a wonderful job. We would like to express our thanks for a job well done and for the quality of the product. Everything was handled in a very professional manner. We are extremely happy and satisfied with the product and workmanship on our new metal roof. The crew was extremely respectful, informative in answering all our questions and followed the contract exactly in the clean-up process. The installation went quickly and the crew was very solicitous of our needs. They were well-dressed and clean-cut, never giving us a moment’s apprehension about their abilities and capabilities. They frequently asked about our level of satisfaction with their work and asked if we had any questions. 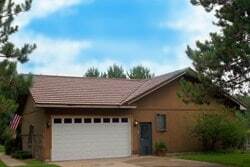 We would not hesitate to recommend American Metal Roofs to anyone of our family and friends. Our neighbors are already complimenting us on the beauty of the roof. We felt both product and service to be exceptional in quality. We are not only happy with the roof, but with the entire process of obtaining it-the crew, the installation, and the way we were treated. Thank you once again. What a pleasure it was having such a knowledgeable, friendly and polite group of men installing our new roof. What a pleasure it was having such a knowledgeable, friendly and polite group of men installing our new roof. As promised, the area around the house was cleaned up every day and all areas were “policed” after the installation was completed. We are already getting compliments from our neighbors and are very pleased with our experiences with all whom we have come in contact with from AMR. I have been very pleased thus far with my roof that your company installed on my lake front home in the City of Sylvan Lake. I find that I am getting back $500 from the government as a tax credit. Enclosed you will find an article from the Detroit Free Press and a copy of the form that I used to receive the $500 refund. Homes on the water are generally not losing any value but the addition of your was a great value considering the value of my home and the small amount of investment. Continued success to you. I know that in these times many of my friends that are I the building business are having hard times. Anything that I can do to assist you in your business, I will do. I chose American Metal Roofs when I was looking for a company to replace my asphalt shingle roof that was in pretty bad shape. At the time my home was built, I received no warranty information regarding roofing material loss or damage. Therefore, I was not aware that I had any recourse when I started losing roof material. 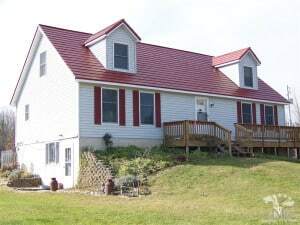 The loss of material finally reached a critical point and I contacted American Metal Roofs for more information about metal roofing products. I was looking for a permanent solution to my roofing problems. My experience with American Metal roofs has been very positive. Every person associated with the company, from office staff to field personnel, was pleasant and friendly. There was never any scrap material left at the end of the day on any day of installation. The job site was left in its original condition when the job was completed. My new roof is beautiful and the correction of ventilation problem should make a noticeable change in the comfort of my home now that the air in the attic space is moving as it should. I would recommend American Metal Roofs to anyone looking for a long-term solution to roofing problems. My thanks to you and all the staff for being so very helpful. My name is Linda Neuenfeldt and have lived at 9276 Silver lake Rd., Linden, MI 48451 for the past 36 years. The house was built in 1965 and has been added onto three times – our garage, once a porch and once an addition the length of the house. At this time, we have standard 3-tab shingles. The front section of the house has had the same shingles for roughly 20 years. The new addition, which is at the back of the house, has had shingles for seven years. The newer shingles look much worse than the old ones. We do not know the warranty on any of these shingles. We have been experiencing some leakage in the porch as well as in the new addition. We have not filed a claim and don’t intend to as it would probably not be worth our time or effort. We decided to go with American Metal Roofs after my daughter and I attended a Home & Garden show and had a representative come out – the president, no less. He explained the problems and how they should be repaired. We knew the roof needed to be replaced; but no one else covered information as thoroughly.